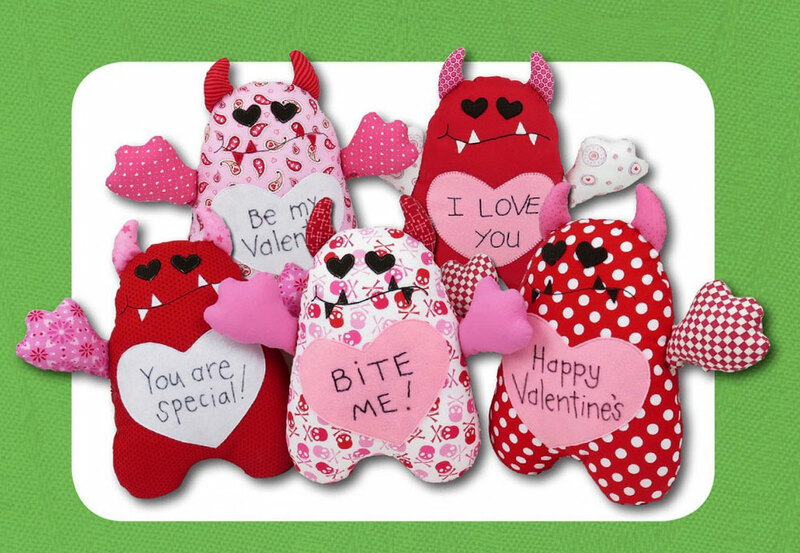 Whip up these cute Valentines Monster toys as a surprise gift for a loved one, family member or special friend this Valentine's Day. Everyone needs a LOVE MONSTER! Great for using up your from your fabric stash - any red, white or pink fabric will look great! This easy to follow pattern would make for a cute kids DIY craft project too. 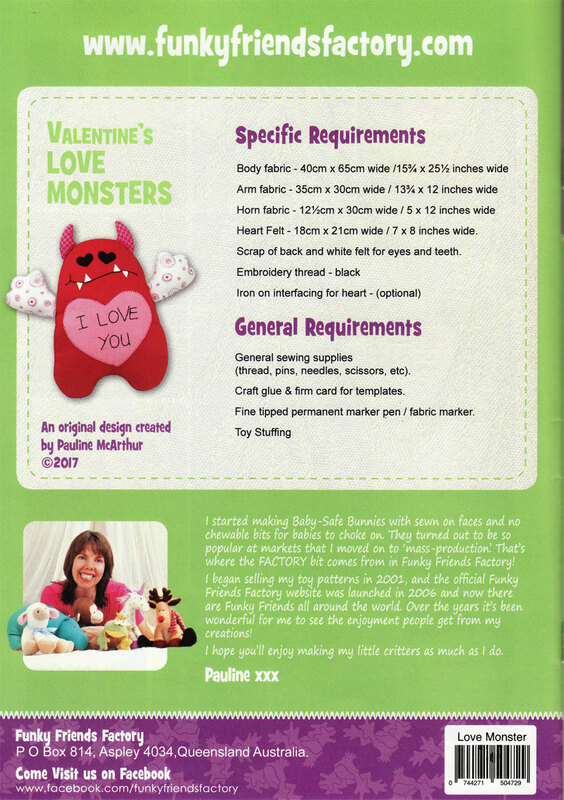 Pauline sewed her Love Monsters in quilting cottons but you can also use knit/stretchy fabrics. (If the fabric is very stretchy, Pauline recommends lining it with a very thin interfacing.) It makes the love message easier to sew if you line the HEART with iron-on interfacing. "SEW THANKFUL" and the SewThankful Logo are the Federally Registered Trademark/Servicemark of SewThankful Inc. Copyright 2000 - 2018 Tracy L. Chapman & Sew Thankful Inc., all rights reserved.